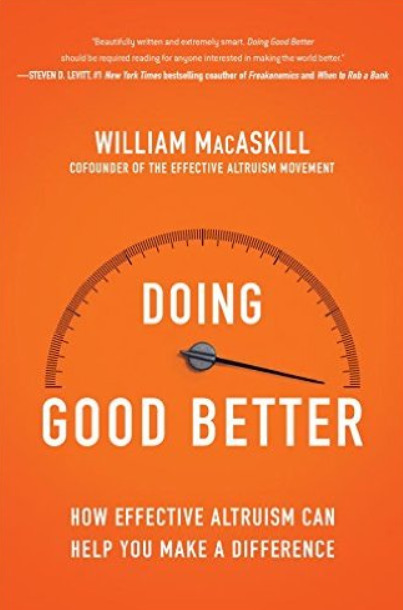 Billy Ray Taylor joins the podcast to discuss Doing Good Better by William MacAskill and drink Lagavulin 16 Scotch. Topics include: Effective Altruism, moral philosophy, problems of loyalty, leadership organizations, and how to make the world better. 0:05:37 - Disclaimer about the difficulty of talking about charity without sounding like a d-bag. 0:07:44 - A free beer offer, John’s natural selfishness, and discovering altruism by process of elimination. 0:14:00 - How Effective Altruism appealed to a certain, young Warren Buffett wanna-be. 0:40:09 - QALY’s and effectiveness benchmarks in US Public Health vs developing countries. 0:57:00 - How effective is donating to Boy Scouts, or to leadership organizations, in general? 1:30:20 - Strangers Drowning: How do we balance loyalty and morality? 1:49:02 - Humans are assholes or How effective altruism can be an act of rebellion against an imperfect world. 1:52:47 - Some is better than none. Take some action. Be a hero.